Miami in the heart of Manukau! 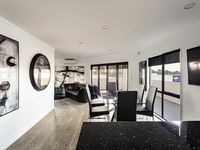 Property 3: Miami in the heart of Manukau! Excellent home away from home with all household amenities a family on holiday would need. Very thoughtful host who also anticipated and provided supplies and written instructions to help settle us in. 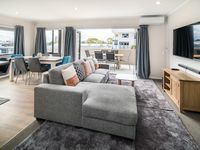 Our family thoroughly enjoyed our stay at this beautifully relaxing apartment so conveniently located within walking distance to key places like Supa Centre, Westfield Mall, Event Cinemas, Pak n Save, Warehouse, Gas Stations, Restaurants, Take Away, Rainbows End and Chipmunks We highly recomend this place as a family holiday home and if available on our next trip, we would definitely book again. Thank you so much Peter and Jocelyn for sharing your lovely apartment. close to shops, loved the view. overall was a pleasurable 2 nights wish we stayed longer.only downfall was no instructions for the oven, took over an hour to google on how to unlock it. otherwise would definitely stay again.